Spiders are among the most diverse groups of terrestrial invertebrates, yet they are among the least studied and poorly understood groups. 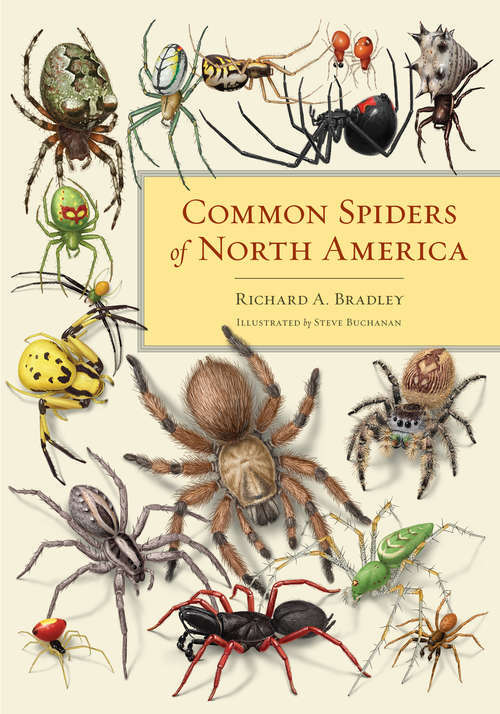 This beautifully illustrated volume is the first comprehensive guide to all 68 families of spiders in North America and illustrates 469 of the most commonly encountered species. Species descriptions include identification tips, typical habitat, geographic distribution, and behavioral notes. A concise illustrated introduction to spider biology and anatomy provides the key for understanding spider relationships. This book is a critical resource for curious naturalists who want to understand this ubiquitous and ecologically critical component of our biosphere.